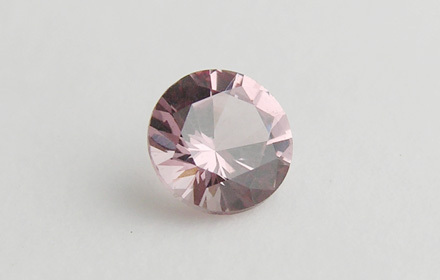 Weight: 0.20 ct; size: 3.51 | 3.47 | 2.21 mm; shape: round; colour: medium light strongly purplish red; slightly brownish; clarity: eye clean; cut: good; treatment: none. Very clean specimen; good brilliant style cut. Source: David Weinberg, Multicolour Gems Ltd.
A variety of garnet from the pyrope-spessartine series with mixed composition.